Weight loss is a common and often elusive goal of many people. What actually causes weight loss is creating a calorie deficit., or burning more calories than you consume. 3,500 calories must be burned to cause the loss of a single pound, so patience is important. In order to have the best success with losing weight, a combination of healthy diet and regular exercise is very important. In general, aerobic exercises that cause a significant increase in heart rate will burn more calories than weight lifting and strength training. There are many different exercises to choose from. Walking and running are both extremely effective weight loss exercises. It is easy to commit to walking, and most people can do it. Walking can be done virtually anytime or anywhere. As your stamina builds and you desire a more intense workout, pick up the pace, add in hills, or increase resistance setting if on a treadmill. Swimming is an amazing, low impact exercise that helps tone and condition your entire body while burning calories and spurring weight loss. This is a great option for people with sports injuries who wish to continue working out or people that have to limit high-impact exercises, such as pregnant women. People see great benefits with swimming. It provides resistance without impact, so it provides weight loss results without as great a risk of joint injury as many other cardiovascular exercises. 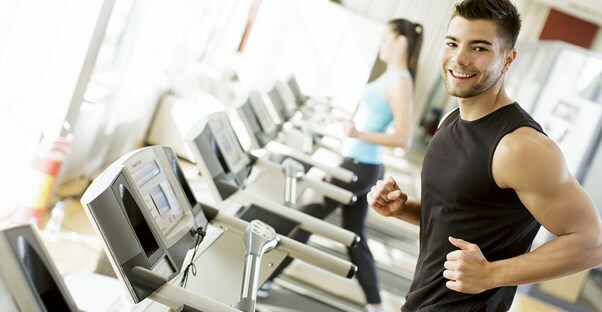 Interval training is a great way to lose weight. Whether you enjoy walking, jogging, swimming, dancing, or any form of cardiovascular exercise, you can practice interval training. To do so, you work out for a few minutes at an intense pace, and then ease off for a couple of minutes. Biking is another low-impact, high-result exercise to lose weight, and it's easy for beginners in the fitness realm to start biking. You can burn anywhere from 300-1000 calories in an hour of biking, so results are typically evident pretty quickly. Outdoor biking is good because of the varied terrain, however many gyms offer exercise bikes and spinning classes, which are good for times that outdoor activities are not possible. Classes such as yoga, Zumba, and kick boxing are all good calorie burners and can result in weight loss. Joining a class is sometimes helpful for accountability purposes, and many people enjoy the social aspect. Depending on your location and interests, activities such as tennis, cross country skiing, skating, and horse back riding are all effective. In truth, any activity that gets you moving and that you enjoy enough to do on a regular basis will help you burn calories and, as a result, shed those unwanted pounds. There are a vast array of exercise programs out there, and it can be difficult to know the right one to fit your lifestyle and fitness goals. The most important thing is that you choose an exercise routine that you will remain committed to. Consistency is essential in your quest to lose weight and improve health.